I’m happy to be back with another great Q&A for the month. 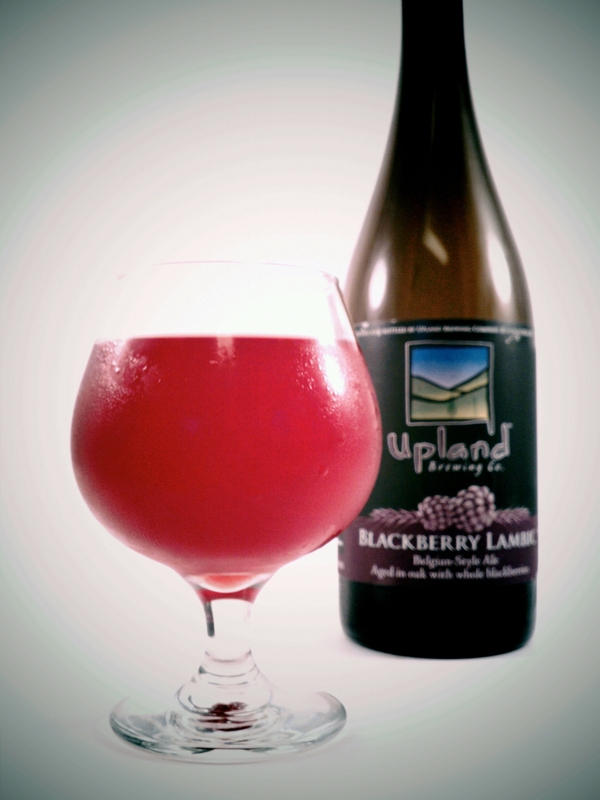 This week I got the chance to spend some time with Caleb Staton of Upland Brewing Company in Indiana. Last weekend they won Gold at GABF for their “Sour Reserve Geuze”, which I’m jealous of those who got to taste it! So on to the interview! 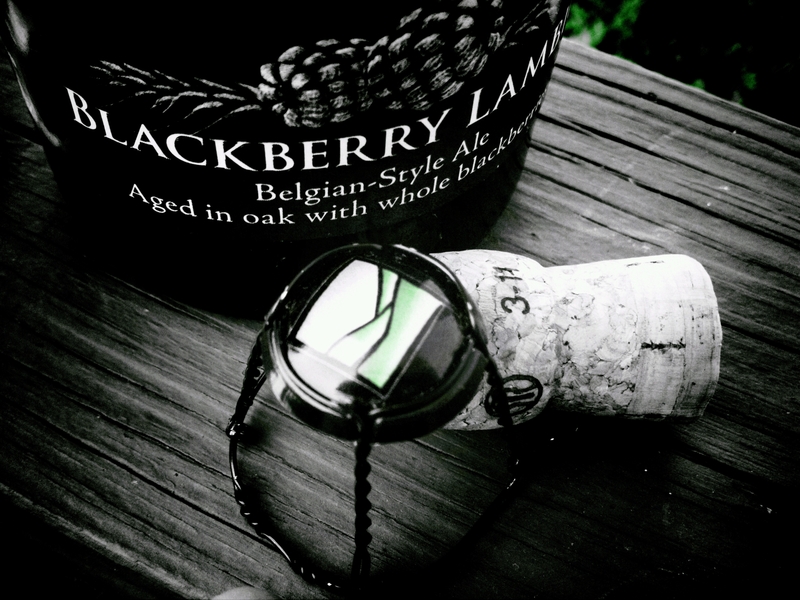 ETF- What was your sour beer epiphany moment? Caleb- Well I probably had some traditional European examples at a bar called The Herot in my hometown on Muncie. They carry a huge selection of beers, like 40 draft beers and over 100 bottles… so my first foray out of college into the world of non Keystone beers was at that bar. But my first “WOW” moment was at the Torandao in San Francisco, I had a La Folie on tap. I was interning with Trumer and some of the guys out with me were a little bit older. They had been in the brewing industry much longer than me, but when that beer got sat in front of me it really opened my eyes to beer being that tart. I do remember one of the guys sitting with me told me to send it back and tell them it was bad! I said I’m pretty sure this is what they intended and the bartender confirmed that [haha]. I don’t think I’d ever had one that was just in your face with lactic acid development. That was what I remember as my first real “puckering experience” with sour beer. After that it was tracking down Rodenbach, Cantillon or some of those breweries. That’s kind of something I dabbled with on the side until we started our program. In our attempt at it we kinda compare some of the world class examples and I think we are doing ourselves justice. ETF-When and why did you start thinking about dabbling in or brewing some of these sour styles? Caleb- I think a lot of the inspiration came from the fact I could get oak wine barrels just right down the road from Oliver Winery which is a large winery here in Indiana. That got me running on “What could we do with these wine barrels?” It just came together as “Let’s try to do a traditional Lambic the best we can.” We’re not able to get the exact bugs from that region of the world, but I think we were able to simulate some of the brewing techniques to see what we came up with. So I got 4 barrels in 2006 and that’s when it all started. We just did a small batch, which was right after my birthday in March, and that was the first batch with those 4 barrels. We didn’t even touch them for about 8 months. It was a turbid mash, 35% raw un-malted wheat and we used old hops that we actually received during the hop crisis, they were Hallertauer Select. We also selected a blend from Wyeast that would simulate those micro organisms as close as possible. ETF- Do you still stick with the same blend or have you hit a sweet spot with a blend you keep in house now? Caleb- Everything we start is really with that blend. After that we’ve been reusing our fleet and certain barrels develop differently over time, but at this point we still get the base style grown up with that Wyeast Lambic blend. But then as to what’s been in our barrels, we’ve added whole fruit that hasn’t been pasteurized so batch to batch there is variation on what we actually grow up and end up with. I’d say we are very controlled though in our inoculation tank, but after we divvy it up into the barrels it’s all up to the temperatures and time. We just have to wait. I’ve got stuff from 2008 that I really don’t know if it’s going to turn into anything usable. ETF- What’s up with those? Acetic? It’s kind of like taking a decoction mash and throwing it in a mosh pit! ETF-So you mentioned you are doing a traditional turbid mash on the Lambic base, are you using that mash profile for the others too? Caleb- Yeah. The only beer we don’t use it on is the Dantalion. From the start the Lambic style beer had 35% of the malt bill as unmalted wheat and the rest pilsener malt. We actually boil the unmalted wheat portion with a small amount of our barely portion to begin with. We do that for an hour, I mean we are boiling boiling boiling! Physically breaking it down instead of relying on the enzymes. Then we drop in the rest of our malted barley part of the bill and remediate our mash to a mash temperature range to get the enzymes to act on what’s still there. We stir it as we go, starting it with our hoe and paddle starting at the top trying to stir it as much as possible. Now we actually have a sweep in there so we can use it to stir slowly as we are going. You end up with this really cloudy wort compared to other beers, it’s what I would call dirty…not this bright clean wort like we expect from everything else. We also sparge really hot, like 200F and just blast it. It’s kind of like taking a decoction mash and throwing it in a mosh pit! ETF-So what temp does the mash end up with? Caleb- It’s kind of an odd thing. You’ve got this super hot napalm wheat on the bottom. So I’ve got a trick where I cool it down with a little bit of cool water before I mash in, it’s not much water..around 40 gallons. It’s just cold city water that drops it a little bit. But I try to mash in at about 158F. ETF- The turbid mash profile you use is not one many people associate with being used in the USA. It’s definitely more hands on and “raw” so how much time does that add to your brewday? Caleb- Yeah the mashing procedure is around 2.5 to 3 hours long. The whole brewday for these beers is substantially longer. We boil a lot longer. Caleb- At least 2 hours for the boil. ETF- What kind of water profile are you dealing with? Any adjustments for the Lambic style beers? Caleb- We don’t really do much treatment here. We do have a charcoal filtration system to get the chloramine content of the city water down, but Bloomington city water actually has a pretty nice hardness and alkalinity to it. We do acidify our water a little bit to bring the ph down. Typically our city water is about 8 to 8.5ph and we try to bring it down to 7 or a little under, especially for the sparge water. Occasionally we add a little calcium chloride, but that really depends on what style of beer we are brewing. In the Lambic we don’t add much of anything, we try to keep the water as naturally soft as it is already. ETF- When you were thinking about the recipe design for the current beers and the designs for newer beers, where do you draw your inspirations? So far I guess you could say with those 3 we’ve been inspired by the more renowned styles of sour beers. ETF- Do you have any newer ones in the planning stages or some cool ingredient you saw that you would like to work into a recipe? Caleb- With a lot of this we are looking forward to trying a few new things and working with a few more micro organisms too. We generally have a wide open field we can experiment with. ETF- You mentioned you try to keep things fairly controlled, but do you have any aspirations to start a wild/open air inoculation just to see what you can grow in the brew house? Caleb- That’s something we will look into as we go along here. In my mind we’ve always played it safe by just utilizing a selection of micro organisms when we start out and control a generation of what we are doing. But we are looking forward to playing around with some catalog yeasts but seeing if there’s ambient micro flora around here that we can draw in. We have moved our main brewing operation out to this new facility earlier this year so our aim is to turn the original brewery location into sour only dedicated brewing. We’re going to have more focus going into that program starting next year. ETF-What will be the new output? Caleb- Ideally we are trying to get up to releasing 4 barrels worth every other week sometime next year. So only a volume basis about 50 or 100 cases a week …if we can do that it would really be something I’d like to push for. We’ve been operating out of our new facility for about 2 months now, so we are pretty much back to where our inventory is looking good. We are also looking to experiment a little more on our core line as well. Were doing 4 pilot beers over the few months, well until January. The first one was an ESB we put on draft last Friday and we are working on some other ones. Of those 4 pilots we are going to pick one for bottling and seasonal status next spring. Hopefully have a little competition when they are all done. ETF- Will people get to vote on their favorites? Caleb- Yeah. Not only will we do a little in house feedback when they are all finished but they are developing a coaster and hopefully have an event where all 4 are on tap at the same time. That will be the ultimate way for people to taste them side by side and see what they really like…and it gives all of us a good reason to use this SABCO system we’ve had for 2 years, we hardly ever use it. The whole crew is jumping in on it making all kinds of stuff. It’s down to figuring out the remaining 3 beers we are going to brew, we’ve certainly got ideas out there. ETF- Let’s talk about the GABF win last weekend. 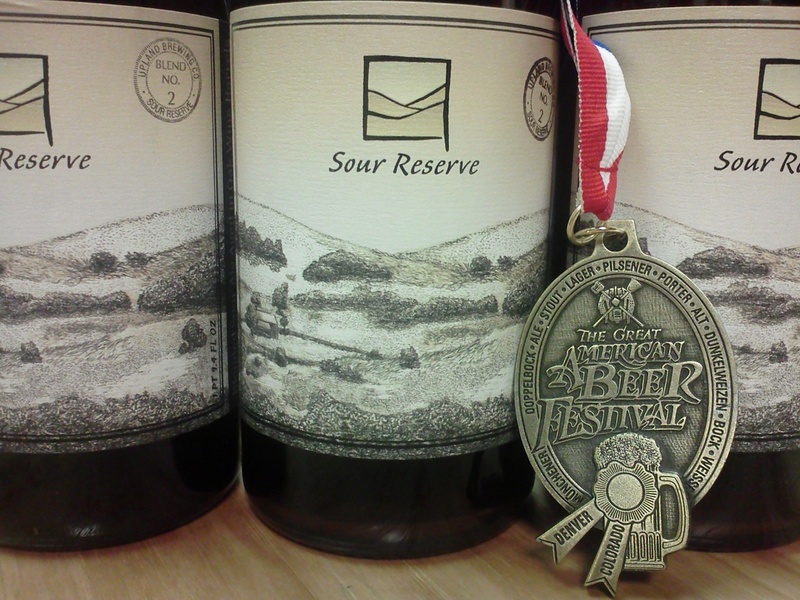 Upland Brewing has won medals at GABF before, but this is your first in the Sour categories right? Caleb- Yes, between GABF and World Beer Cup it’s our first for the sour side of what we do. For the past 2 years in the Indiana State Fair competition our sour beers have been Best Of Show. Gilgamesh had some good placements at the Festival of Wood in Chicago. We know we have some stuff in the running, but man it was a real surprise to win and win the gold none-the-less. I’m still shocked by that! ETF-What did you think when you heard who won? Caleb- Well I wasn’t there, I heard about it afterwards and couldn’t believe it. We also had Gilgamesh in and between the 2 I really felt it was our stronger pony, but I can’t disagree. We entered Sour Reserve as a Geuze style so I think that’s pretty cool it’s the one where we picked a few barrels we had. They ranged in age from 4 years old to a couple years old and blended them together. I think it’s neat because we just did that one by taste and for it to nail like that is pretty awesome. ETF-How long did it take to come up with the final blend? 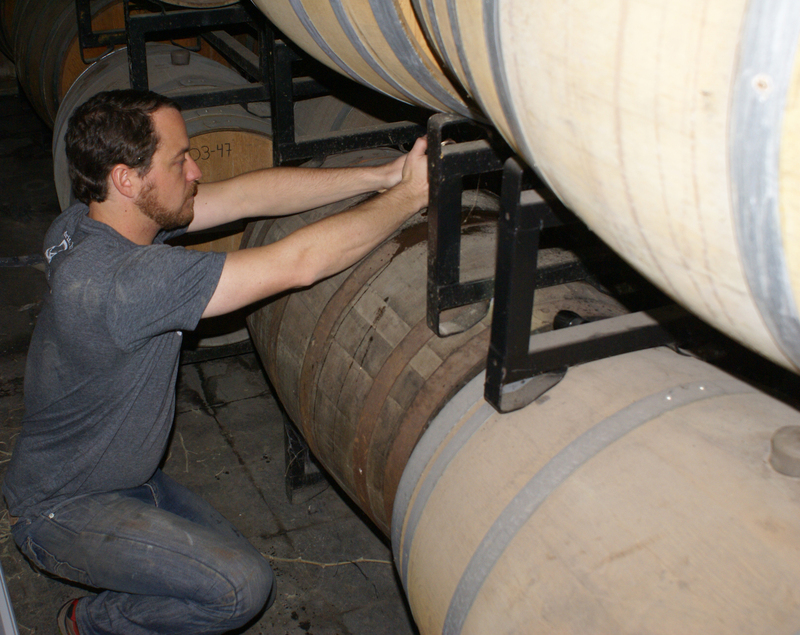 Caleb- That’s our second blend, so we go through a do a barrel assessment every once in a while. We have 141 white oak wine barrels, 37 bourbon barrels and the 60L oak foudre that we’ve used on and off for the past 4 years. Generally a batch for us is about 12 barrels filled, so that single batch goes into 12 barrels and those are all somewhat similar. It depends on where the barrel is…if it’s on the bottom or top of the rack stack or maybe one barrel has something special going on inside there may be some deviation but not as much as the next 12 barrels we fill. 12 barrels filled in March and 12 barrels filled in April will have a distinct difference. But we can blend the 2 together if we find that appealing or just stick with the batch and say it’s ready. Sometimes the batch you brewed beforehand isn’t ready until the one you brewed afterwards is. It’s pretty wild stuff when looking for that correct acidity development as well as nothing off putting about that batch. When we picked a Geuze it was going in and picking the best batches we had at the time, the going through each barrel to find the “cream of the crop”. We only ended up pulling 2 or 3 of the oak barrels to make those blends. We did it by taste…pull a sample out, put all our best horses in front of us and go. 50Ml of this one, 50ml of that one, 50ml of another one then mix together for a 1 to 1 blend or third, third, quarter, quarter to get 4 parts in the sample blend…alchemy almost. But yeah mixing different ones and seeing what worked and what didn’t. ETF- Did you pick up anything off this blending session that will help you next time? Caleb- I think it’s really just sticking with what I just walked you through. Picking what tastes best to us and going from there. I think we’ve got some indication we’ve got a pallet or nose for it [haha]. We just have to trust ourselves and what we like these beers to taste like. The best example of that is right after we release them. Obviously they will change overtime in the bottle. Especially the fruited Lambics, those I’ve never declaratively said for people to not cellar and age…alot of that’s because when we first started doing this we just didn’t know if they would or wouldn’t age well. I’ve heard some do and some don’t, that’s the reality of what happens: some age in a positive way and some lose much of the fruit character and what that original beer was aspired to be… ending up as a lackluster beer. My own personal stance is fruited Lambics are the best right when we release them. You get that full fruit character, all the color the fruit added and the aromas really come out. The beer that we add the fruit to is already and acidic beer, it’s go the lactic acid balance we are looking for and is at least 8 months old. So the beer is where we want it to be at that point. ETF- Obviously it’s a taste thing and bug dependent…but how long are you letting the fruit and beer sit together in the barrel? Does it vary by the fruit used? Caleb- We allow a re-fermentation to happen so depending on the base beer we pick, the youngest one was 8 months old. Once we add the fruit it’s typically 3 to 5 pounds per gallon, we are packing around 300 pounds of fruit in the wine barrels. It’s whole fruit…we don’t puree or anything like that, we do de-stem or de-stone and the Kiwi’s we get the husk off the outside and then drop them right through the top allowing the sugar in the fruit to re-ferment. You end up with another 3 months for that re-fermentation process to happen and that fermentation can be violent in some instances. We’ve had guys put the locks on too much, the raspberries jam them up and then you walk in the next morning to raspberry graffiti on the ceiling, barrel above it and everywhere else. Luckily that room was always separate from out main production area. But yeah when that re-fermentation happens most of the fruit fermentation is done in the first month then we like it to just sop up as much of that fruit color and character as possible. So then we cool it down in our cooler for a couple of weeks which lets all the fruit settle to the bottom of the barrel so we can rack the beer of the top. Then it goes to our packaging tank which is kind of a bright tank, but more of a priming tank that has a small stir paddle in it. We add a little bit of sugar and traditionally we use our witbier strain to prime, then we strain it to catch any fruit bits on it’s way to the 750ml bottle gravity filler. That’s when it starts getting really manual…the fruiting activity alone takes awhile, cleaning the barrels afterwards, filling them back up with water to keep them wet before we use them again. The 12 hour brew day is not anything compared to a 10 hour champagne bottling run… It’s very meticulous and the champagne corker looses it’s luster pretty quickly [haha]. ETF-Haha. I can imagine you might start thinking “We need to keg some of this”. Caleb- Yeah we could definitely move more volume through… We’ve never done that, but that maybe something we need to start doing. Get a separate keg fleet going. ETF- Going back to the racking for a second…you are pulling off the top, but are you using a pump or pushing it? Caleb- We have a racking “Bulldog” that’s similar to a racking cane you use in home brewing. It’s stainless steel with a sight glass on the top. You can actually add pressure to the barrel, almost like a keg; in that you put the stem in and then start racking the bright beer off. Once it’s set you push co2 into the barrel and it draws the beer off. I don’t know if you’ve heard the story about us blowing a barrel up, but it was because we didn’t know enough about the system. One of our first Kiwi batches we just blew the head off a barrel and yes we learned a lot from that [haha]! Oak barrels are their own animal…kegs are heavy, but oak barrels are ungainly to move…I don’t pity the wineries or distilleries at all. They’re and old fashion container and there’s a reason brewers use stainless kegs. You know though, it’s part of the madness in getting into this part of brewing. Making great beer is already hard enough, then you start throwing in stuff like boiling portions of your mash, divvying out your batch out into barrels and putting pretty much everything into oak. Definitely it’s own animal… but people love the taste of these beers and I like the aspect that there is a little more work in generating these types of beers too. It takes a lot more patience and really sleeve rolling up to get these done at the level we are doing them at anyway. ETF- I know some breweries like Cantillon go really old school and clean their barrels with chains and steam…how do you guys clean yours? Caleb- We’ve been using really hot water. Everything that we don’t fruit is pretty easy to clean, you get pretty good hot water in there and rinse them several times or soak overnight in hot water to draw out stuff from the oak. The fruit takes awhile to empty…basically you end up with 300 pounds of fruit you have to get out of a 4 inch diameter hole. That takes rinsing and draining and rinsing and draining etc…So when you are doing it that way it takes awhile. But generally hot water and no chemicals. We do have some spray balls we can put in the barrels to clean, but I feel like putting in hot water and draining them until the water comes out clear and potable is clean enough for me. 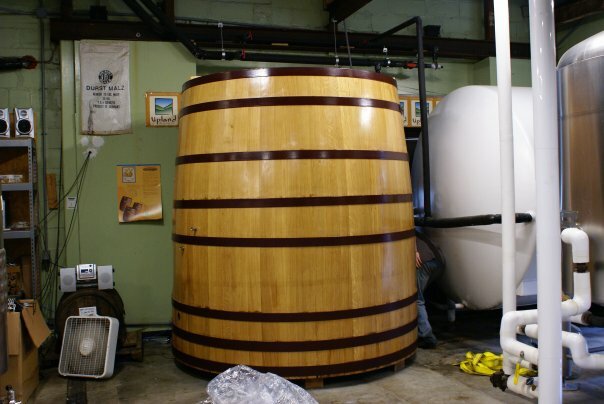 We’re not trying to sanitize them, they’ve got stuff in the oak you will never get out… they will always be sour barrels. But again we store the barrels wet, so they are soaking in water and the first thing that happens before they are used again is the water gets drained off and inspected. When we get the barrels from the wineries sometimes we get a bunch of grape skins draining out, so even when we get them fresh the barrels are cleaned. We try not to fill a barrel the knowingly has some debris or other material in it. We do have a steam generator we may start playing around with that we could heat up a barrel that is constantly developing a characteristic we don’t want in the fleet. We’ve only been doing this since 2006 and most of the barrels haven’t even seen 2 turns yet. ETF- When you rinse the fresh barrels are you concerned about losing any of the wine characteristics the barrel can impart or is that something not really on the profile radar? 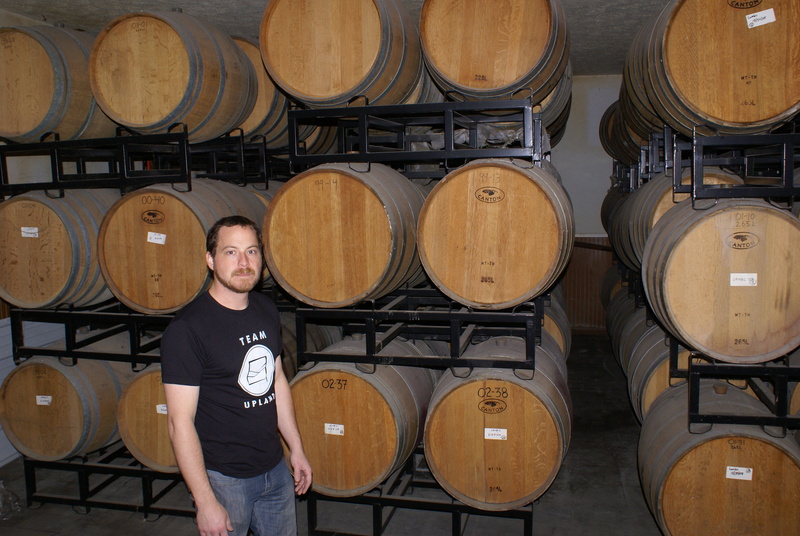 Caleb- We are getting relatively neutral barrels from the winery and they’ve usually aged them with a dark red plus the winery has already used the barrel a few times. So the amount of oakiness is pretty diminished for the most part compared to a new fresh barrel. I’m not too worried about giving it a few more rinses, we don’t get all the wine out of the oak. Whatever wine/oak character we get is a pretty minor flavor contributor compared to the fruit and acidic character. The micro organisms contribute a heck of a lot more than any vinous character we might get. A lot of the original Lambic and Geuze blenders were seeking to create a Chardonnay type beverage, so it’s an inherent part of these beers to taste somewhat “winey”. ETF-What advice would you offer home brewers as they head down the sour/wild brewing road? Caleb- I think patience is a huge part of this stuff. Somehow we reserved ourselves for the first 4 barrels not to touch them for the first 8 months, you just have to be dedicated to not touch it. Leave it alone and don’t get that aeration going and let the microbes do what they are suppose to do. We try to really avoid breaking up the pellicle as much as possible. 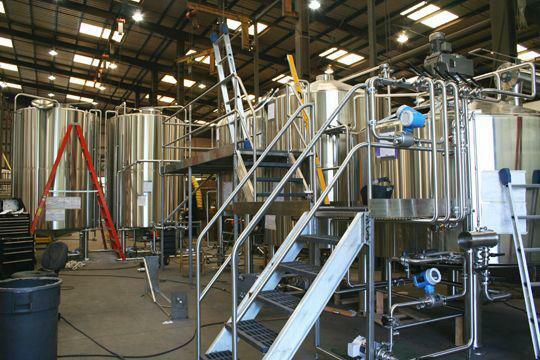 Sanitation is no less important with this type of beer unless you are trying to create something spontaneous. If you are just trying to introduce a couple of Brett cultures along with a Sacc culture it’s still just as important to keep it at those 2. In our program we try to keep things as meticulously clean as we do on our regular line. Really it’s just like any other brewing…get those first few batches out of your system to see what happens and then learn from what you can improve on or if you knock it out of the park at first then try for that repeatability. I’m very much in the world of slow systematic change to create great beers. The first time around it’s the attempt/experiment and if it turns out well then keep rolling maybe with some minor changes. If it’s not something you are proud of either scrap that recipe entirely or change the things you think will improve it then next time around. That’s always the way I operate instead of coming up with a new recipe every week. I just focus on the ones we already have in our binder and try to make them better. Ultimately if they can’t be made better then they hit the wastebasket [haha]. In home brewing it seems like it’s much harder to dump something down the drain, but we are definitely on our way to dumping some of our first sour beers here. We’ve got a whole batch of Persimmon that did not bottle condition the way we wanted it to, so it’s destine for the drain. We’ve established a good reputation for our program, we just won the gold medal at GABF and it’s even more on us if something is not working right then it’s gone, we won’t even put it out there. 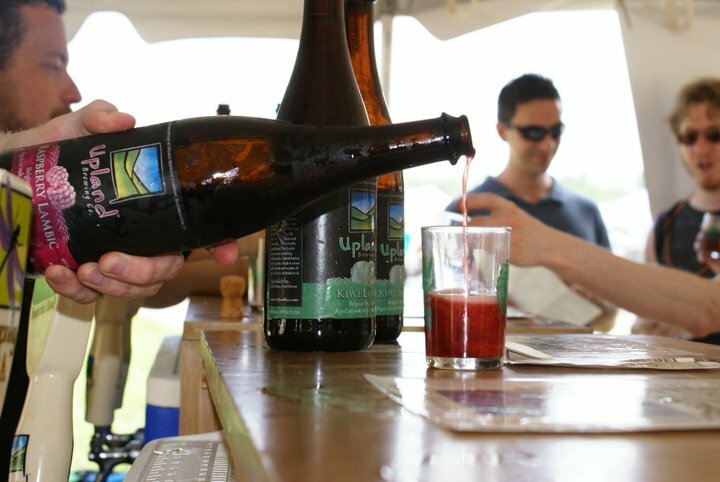 Pingback: Professor Good Ales » Post Topic » Caleb Staton of Upland Brewing Company Q&A!